Which means I’ll be making batches of green pickles again this year. But that’s okay because I rather like the green pickles. I made them first with under ripe plums that I collected in deepest Suffolk with Vivia of Grethic’s Grethica. She also tracked down some recipes which she posted links to here. Its worth watching the you tube clips because they are a bit bonkers but to make it a bit easier I’ve given the recipe the way I did it here. In both cases the quantities take a bit of guess work. In the second one I assumed it meant use 8% of the weight of fruit you have etc. In the first one it was harder so I just did what looked like a sensible quantity for the fruit I had the get a good level of spiciness. Cut the tomatoes (or plums) into quarters. Discard the stones if you have plums. I usually make one batch of each type so I split the total fruit in half then carry on. Mix the spice and salt together in a bowl. Add the fruit and coat with the mix. Cover with cling film and leave somewhere light and warm for 3-4 days. Pack tightly in sterilised jars and cover with rapeseed oil. Leave it to mature for at least a month. This one is quite like lime pickle so is great with curries. I use any leftover spicy oil for cooking curry as well. Mix the salt and tumeric together and add the fruit. Coat. Cover with clingfilm and leave in a bright warm place for 2-3 days. Add the sugar and leave for a further 3-5 days. Pack into sterilised jars and cover with oil. As this one is sweeter it also works well with cheeses or cold meats. .-= Whimsical Wife´s last blog ..Winner of Hello Kitty give-away =-. Cheers Linda, I shall give this a whirl. .-= Food Urchin´s last blog ..Resurrecting Veronica =-. Mmm sour pickles! 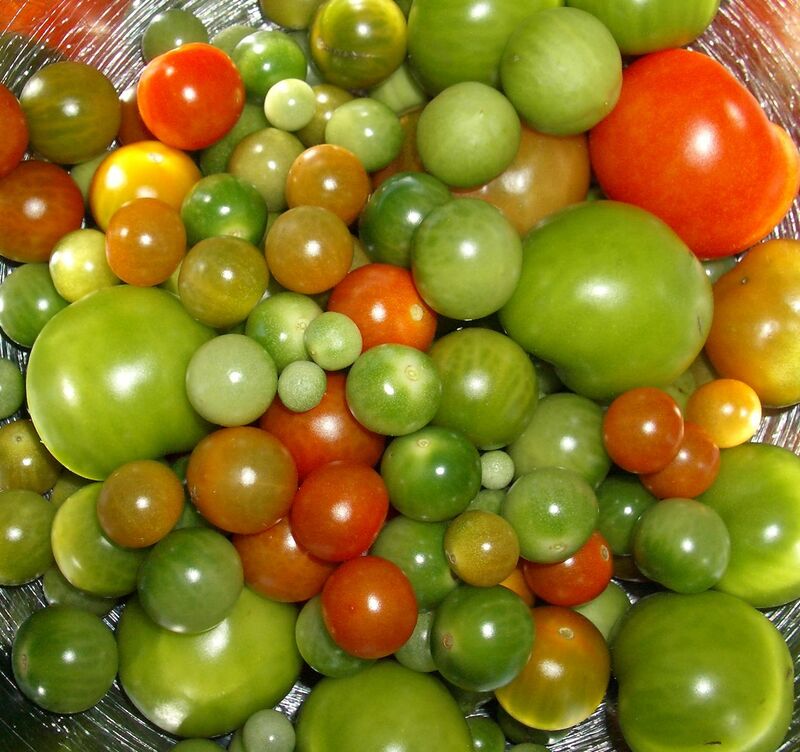 I have tons of green tomatoes left over so may give these a whirl – but do they really work without any acid (vinegar)? .-= Emma´s last blog ..Free food – Blackberries =-. I don’t think I’ve had these before, but it sounds like something I would like to try! Dan: Good things come to he who waits…or something like that. Look forward to hearing how you get on. Emma: Yes they really work the salt and the acidity in the unripe tomatoes seems to do the trick plus the spices and the oil also help. 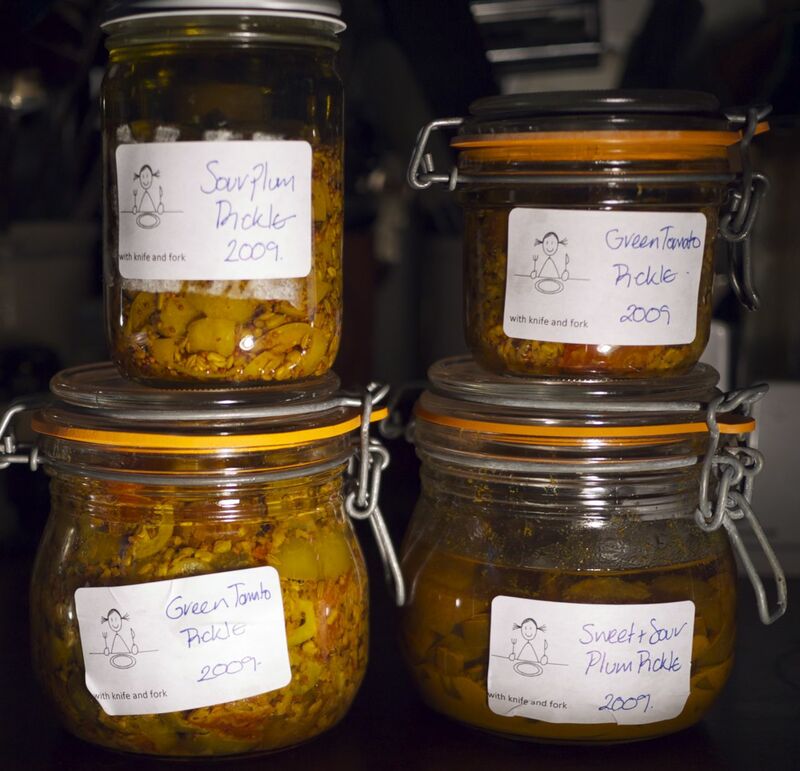 Green tomatoes are also good in piccalilli. Oooh. I’ve been looking for a new use for my fenugreek. Great post! .-= Scandilicious´s last blog ..Chelsea Buns =-. 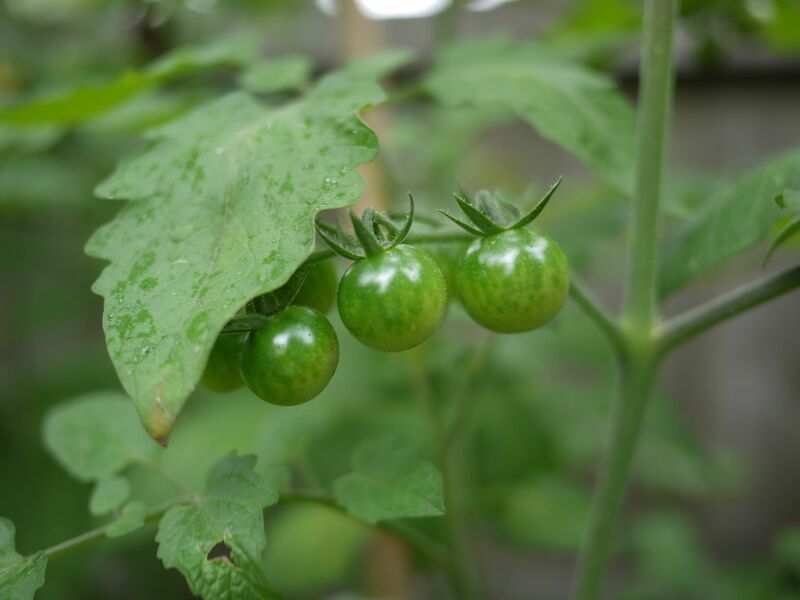 This is the first year in this house that we didn’t have tomatoes so no chutney for us this year…. must try harder next year. I like your labels! .-= Sarah, Maison Cupcake´s last blog ..Cured Beef Quesadilla- It’s a Kind of Sandwich =-.